I’m all about braids lately y’all. Casual, fancy, basic, fishtail, loose, classic…you name it – I love them all. But luckily my boutique is located inside of a hair salon and well..need I say more?! then got ready for a girls night out on the town. 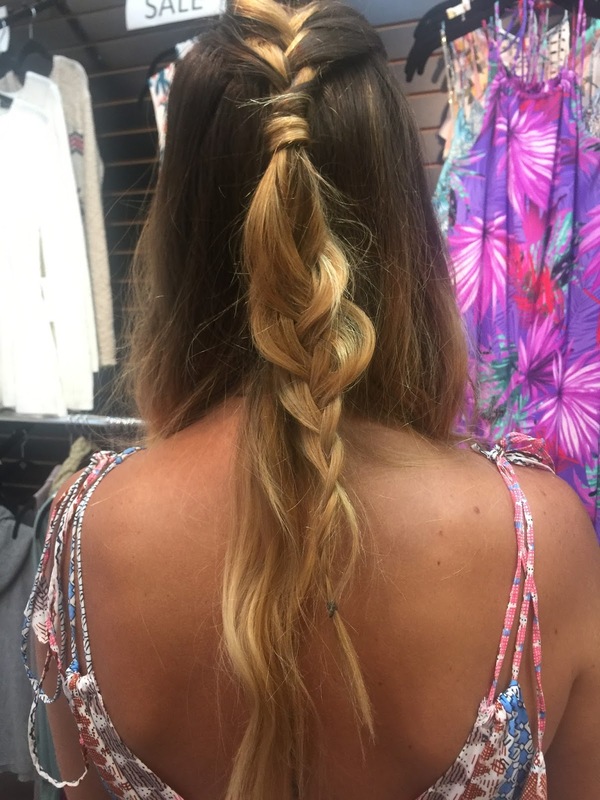 I had a girlfriend at work do a boho braid for the baby shower. However I’m on a mission to start doing more videos for y’all. What do y’all think? What would you be interested in seeing? Make Up Reviews? Get Ready With Me Videos? Fashion Videos? Hair Videos? You name it and i’ll work on it!